It’s a major milestone, you guys… I’ve finally hit lesson 50 on my website! It’s crazy how I’ve been at this for nearly a year. I’ve made so much more progress with this site than I could have ever dreamed this past year. 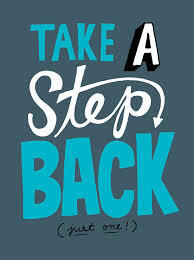 Today, I want to talk about knowing when to step back. We authors like to be proactive and put ourselves out there so people know about our book in any way possible. I know, believe me. Why do you think I started this website? And another one, and another one… You get the picture. As you may know, I also recently started an author vlog on YouTube. Well, the other day I actually ended up taking all seven episodes down. It wasn’t an easy decision, but I decided to quit doing them. Why did I decide to let go of another marketing tool? Well, the answer is simple: I was starting to view it as something that I had to do, instead of something that I got to do. I didn’t like that feeling, so I decided to let go of it. Sometimes, you have to do that, and sometimes, you have to be okay with it. I’m actually relieved that I let go of the vlogs. It wasn’t my thing. The few comments I got were negative, and it was really uncomfortable with having my face in front of a camera all the time. Don’t be afraid to let go of something, even if it means letting go of a marketing tool. If you’re better in front of the camera than I was, then great, go for it. If you’re not, don’t try to put yourself. Letting go of a marketing tool may not be the easiest decision in the world, but if you do let go of something you can’t handle or don’t like, then your marketing experience will be a much happier one in the long run.